- 2 Pockets inside, 12 outside. - 13 1/2" x 6" multi-compartment plastic tray included, slides securely into bottom of bag. - Opens wide for easy access. 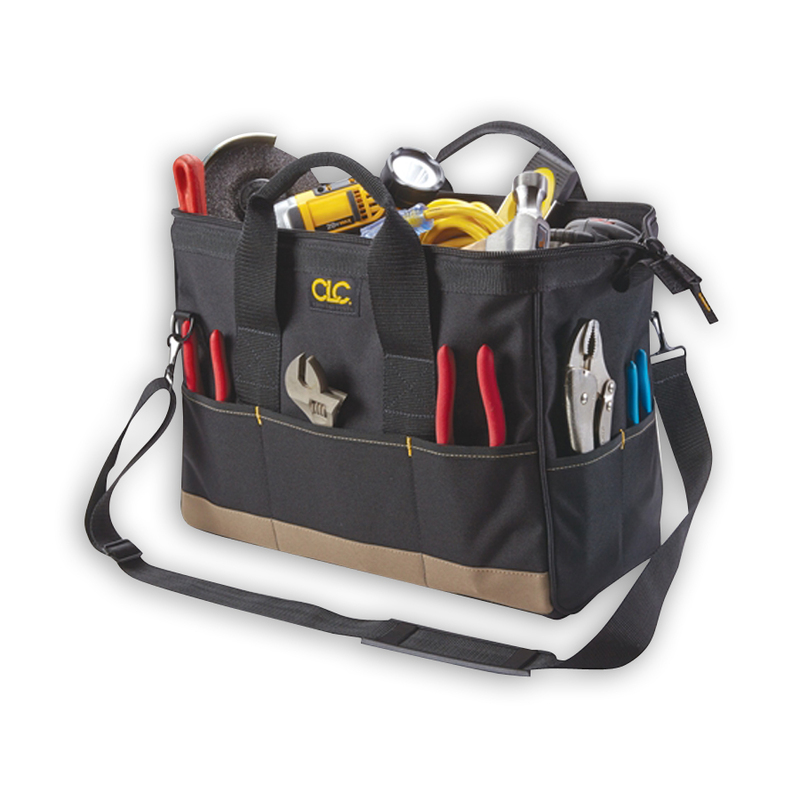 - 12 Multi-use pockets inside and 10 outside organize tools and accessories. - Opens wide for easy access to bag’s contents. 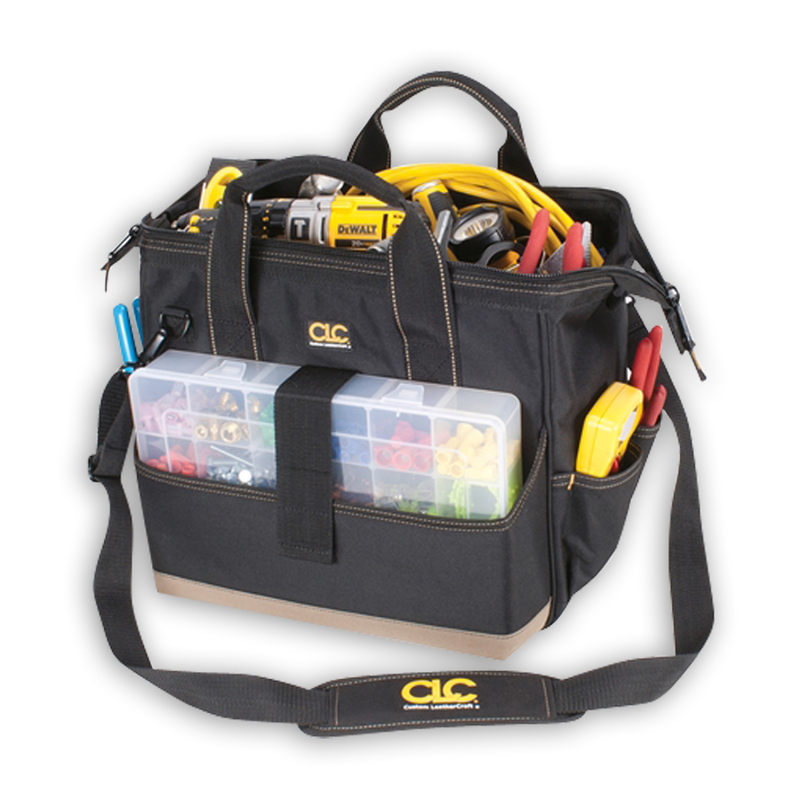 - Padded reinforced web carrying handles and adjustable shoulder strap. - Box shaped design prevents tipping. 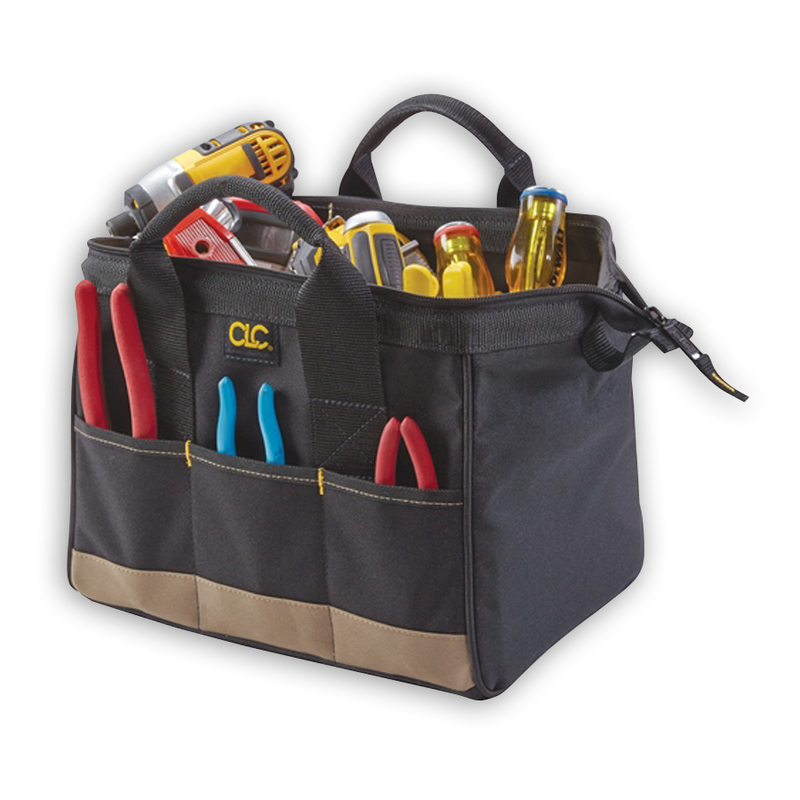 - Pockets for drill bits and tips, electrical tape strap, etc. - 6 Large compartments for organizing and stowing small parts. - 16 Pockets outside for a variety of tools and accessories. - Soft bottom panel prevents tipping and spilling. 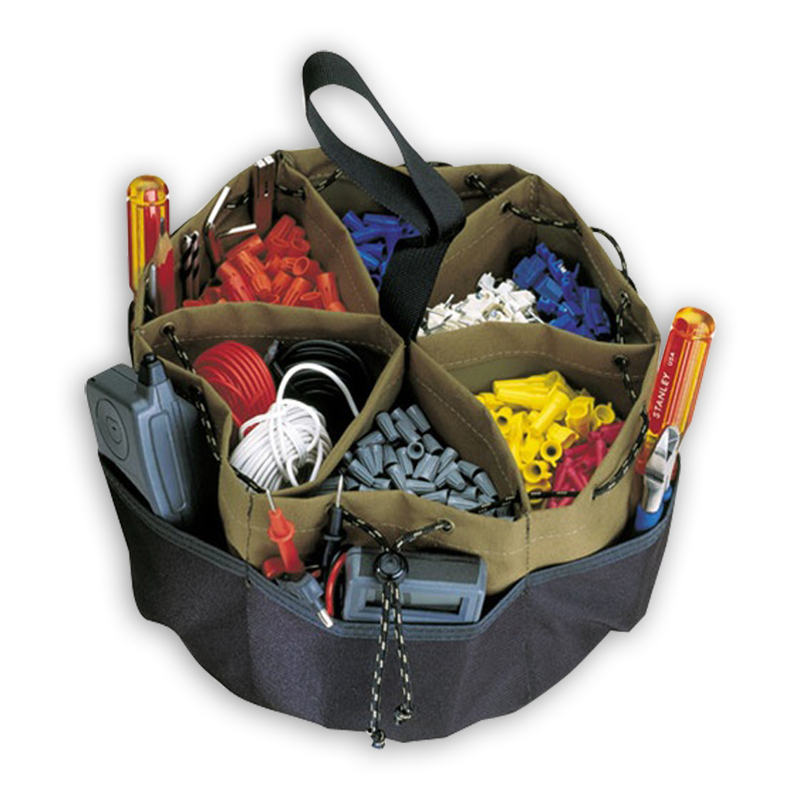 - 14 Double row pockets inside and 34 triple row outside pockets organize a wide range of tools and accessories. 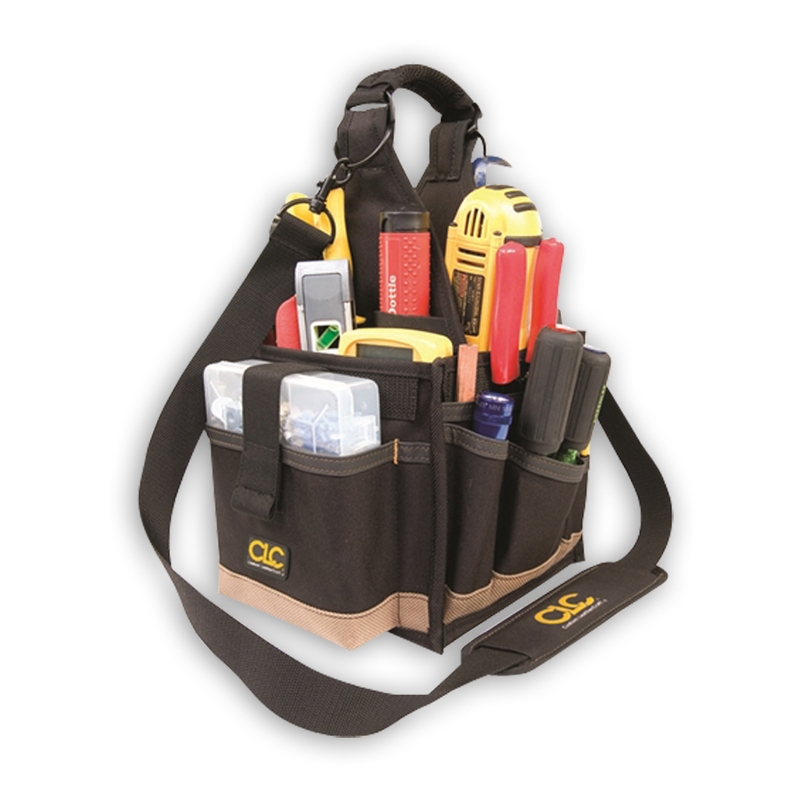 - Security pocket with hook & loop closure. - Drill pocket with hook and loop handle strap. 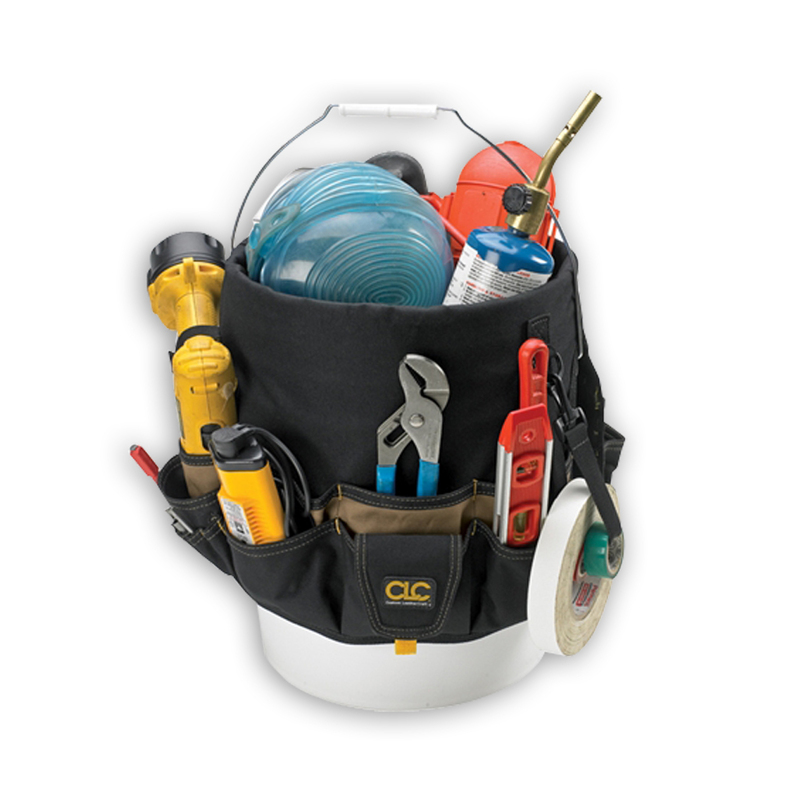 - Designed to fit most standard 31/2 to 5 gallon buckets. - Measuring tape strap and key clip included.